There are quite a few foods that fight fat and are gastronomically appealing. They are delicious, but they either fight fat or are light and won’t cause fat to accumulate. Yogurt is full of protein and probiotics which is good for the health of your gut. The gut is a very important part of the body and a healthy gut can aid in weight loss. It is good for metabolism and ensures that you can digest food well. Avocados have mono-saturated fats that stop spikes in blood sugar. This, in turn, stops the body from storing fat in the middle section. It thwarts a bloated belly and enables absorption of carotenoids. Berries have antioxidants that improve blood flow in the body. It delivers more oxygen to muscles that helps while working out. Vitamin C helps in burning around 30 per cent of body fat during exercise. Green tea revs up the body metabolism and you can burn 30 calories in a day just by consuming green tea. The ECGC compound in tea makes it easier to burn body fat. Drink three cups of green tea in a day to aid weight loss. Salmon is a good protein source for people on a diet or those who want to eat healthy. It has good fats like omega 3 fatty acid which helps you in feeling satisfied while watching the calories. Apples are low in calories and full of fiber which staves off cravings. They are low in sodium too and area perfect addition to your diet meal. Pumpkin is one ofthe greatest weight loss foods. It islow in calories and full of vitamins, minerals andfiber. It also has beta-carotene, an anti-oxidant. Pumpkin seeds are also full of fiber, protein and minerals. It helps you in keeping the body fit, lean and healthy. It has mono-unsaturated fats that raises metabolism and burns fat. Garlic has allicin that reduces unhealthy fats and cholesterol. It also acts as a natural appetite suppressant. There are a few vitamins and weight loss supplements that can be used to aid weight loss. Caffeine – It is a known metabolism booster and it increases fat burning. Green Coffee Bean Extract – Coffee beans that aren’t roasted is green coffee. They have chlorogenic acid and caffeine. It facilitates fat burning and slows down the breakdown of carbohydrates in the gut. It also lowers blood pressure and blood sugar levels. Green Tea Extract – The antioxidant EGCG aids fat burning. Conjugated Linoleic Acid – CLA is a healthy trans-fat and is found in cheese or butter. CLA reduces appetite, stimulates the breakdown of body fat and boosts metabolism. Bitter Orange – Bitter orange contains Synephrine. This compound reduces appetite and increases the process of fat burning. 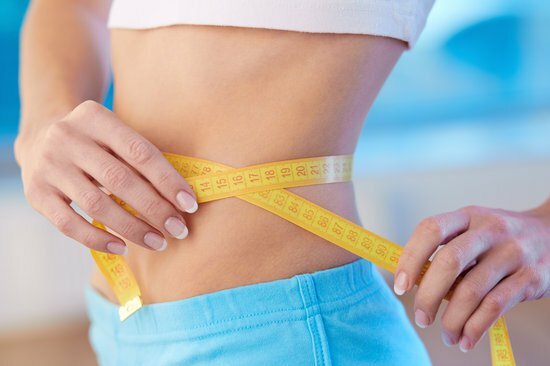 Another method to manage weight loss is through HCG. HCG is a natural compound that is available in liquid, cream or pellet form. The HCG Weight Loss Liquid Drops are easy to consume and don’t require any working out. The HCG Liquid Drops are taken orally by placing it under the tongue to be absorbed by the body. HCG Liquid Drops have a lot of benefits and are an easy method to reduce weight. Thank you for sharing excellent informations. Your website is so cool. I am impressed by the details that you have on this website. It reveals how nicely you understand this subject. Bookmarked this web page, will come back for extra articles. You, my pal, ROCK! I found just the information I already searched everywhere and simply could not come across. What an ideal web-site.